Skin removal surgeries take a lot out of you, not just the days, or weeks leading up to it, but for several weeks, months even after you have the surgery. I always say for me, skin removal surgery has been 1000% worth it, and now, as I am recovering from my 5th surgery, I still 1000% agree. Since I had surgery on my legs this time, my surgeon recommended that I have lymphatic massages done to help the recovery process. I have had several massages now, and I have to say I notice a huge difference in not only my legs, but my whole body. For me, I am still super swollen in not only my legs, but my whole body which is completely normal. Although lymphatic massages are not the most relaxing massages, they do help tremendously! Before I talk about what is working for me in terms of my massages, I want to just briefly talk about what lymphatic massages are and why I am having them done. I am not a doctor and I would definitely consult with your physician/ surgeon before you do anything, but I want to just give you the generic definition of what lymphatic massage is. Lymphatic massages help to encourage the natural drainage of the lymph, which carries waste product away from the tissues. So basically, they can help reduce the amount of fluid, waste, in your body and help to get it out. For me, I still have a lot of swelling, which means that there is a lot of fluid in my body, which is completely normal after surgery. The amount of swelling that I have, is due to the procedure I had done, liposuction, and the amount or volume that was taken out of my legs. The amount of swelling and the amount of fluid left in your body will all depend on your procedure and well…your own body. 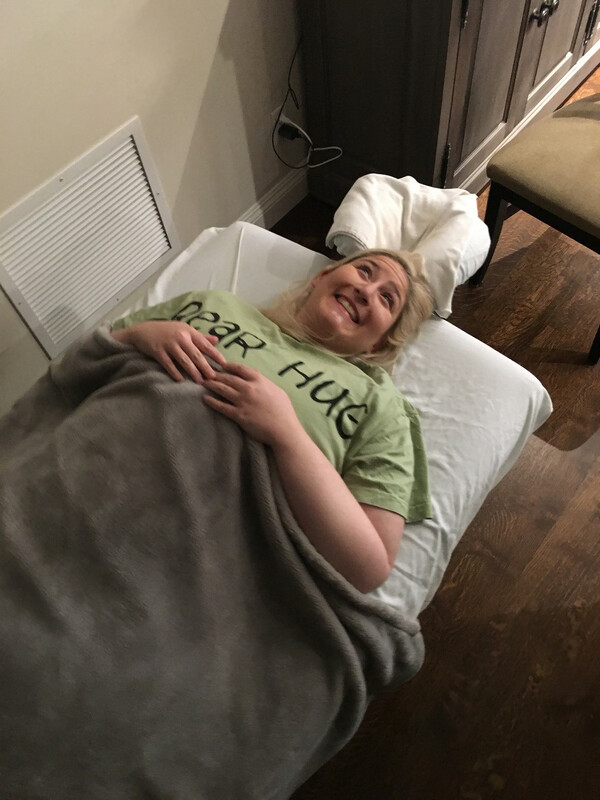 So with these massages, it not only helps get the blood moving which helps with circulation, (especially when I was not moving or walking a lot), but it helps to get all the fluid out of my body. I have a lot of “lumps” on my legs which is where some of the fluid settled. My massage therapist helps to release those “lumps” and move the fluid up my body so it can come out, which is usually through sweat and going to the bathroom. He not only massages my legs, but massages my whole body to help all of the fluid move around and get rid of the toxins everywhere! My therapist says he is already noticing a huge difference in my body, especially in my legs and thinks my body is responding great to these massages. The next stage for me would be a more intense massage, like a medical massage and lymphatic massage and really focus more on the legs. Before I get tons of questions about this I am going to address it now- NO! I do not have or I did not have lipodema. I am strictly having these massages to hep get rid of the fluid buildup in my body from a very intense surgery! The swelling is completely normal and can take up to 6 months for everything to be fully healed! I also wanted to share with you guys some products that my massage therapist recommended for me to use and what we use during my massages. He says that using a lavender lotion during these massages helps to calm down the muscles and tissues so that the fluid can flow out easier. We also use a lotion with mint oil on my my feet, which helps with circulation and again calm the muscles and help to get the fluid and toxins out. I am going to link the lotion I have been using and LOVE and my therapist also said these lotions were his favorite too! After every massage he recommends for me to drink a cup of hot matcha green tea. So I am linking the one I am drinking too and love. 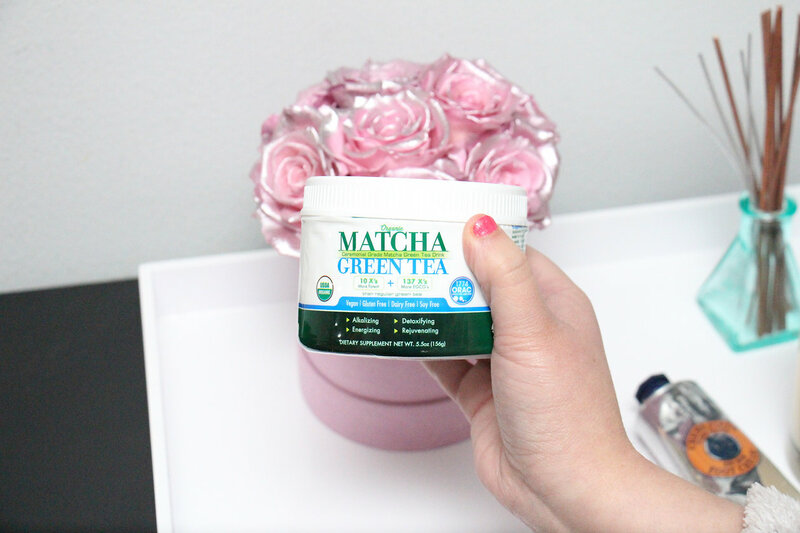 I love green tea, but matcha green tea is definitely different and a lot stronger, but if he said it will help than I am all for it. Since everything is going so well, I don’t want to stop now! He also says the more you move the more it will help and definitely says to drink A LOT of water!!! So again this is just what is working for me and what was recommended to me. From what I heard, lymphatic massages are great for everyone, not just people who have had surgery, but again I would make sure to consult with your doctor beforehand and make sure it is safe for you to do. These massages can hurt, but feel so good too! I hope you guys find this helpful and useful! I get so many question about this so I wanted to give you all the information I know and hopefully it can help some of you out! Also like I said all products that I mentioned will be down below. 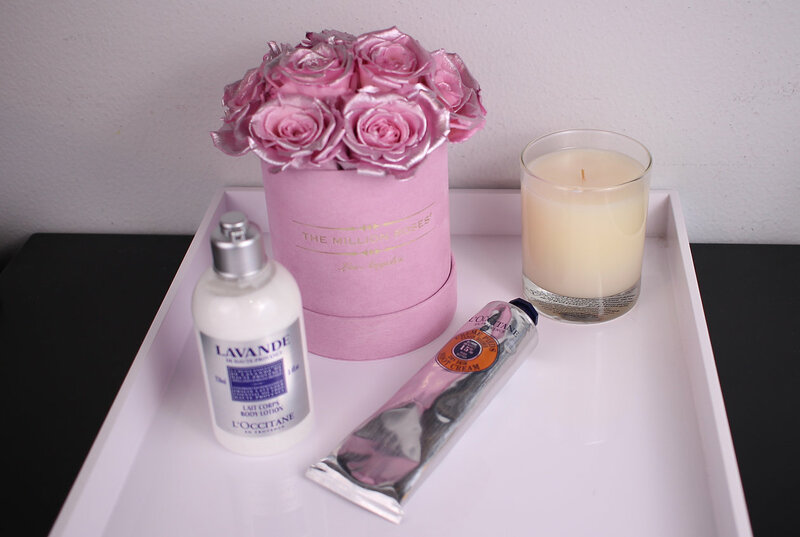 The lotions are seriously my favorite and I even have the lavender body wash and I LOVE it! Even if you don’t get massages done, I definitely recommend them to just use on yourself for some super soft skin and to keep you calm and relaxed! Stop Dreading Mondays, and Rock those RED Pants!